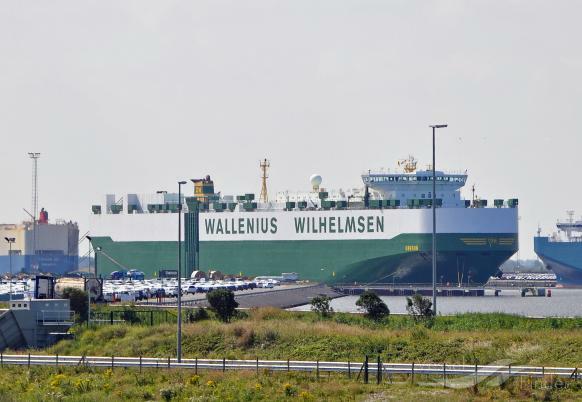 When British logistics company Central Freight needed a reliable partner to help them ship a deaeration unit from Europe to North America, their choice fell on Wallenius Wilhelmsen Logistics’ customised RoRo solution. A deaerator is a type of filtration unit that is used in the oil industry, and this particular deaeration unit was destined for an oilrig situated in the Mexican Gulf. Central Freight needed a solution whereby this gigantic piece of cargo, weighing close to 46,000 kg, could be safely moved from the factory in Sheffield in the north of England to the southern part of the United States. Andre Linford, Customer Services Coordinator from WWL’s Atlantic East office in Southampton, explains that Central Freight looked at three possible shipping partners but soon chose WWL. “They wanted a reliable liner service with the right sailing frequency that would stow the cargo safely below deck”, he says. The deaerator was brought by road to Immingham where it was loaded aboard a short-sea service to Zeebrugge. Once in Zeebrugge, it was trucked the short distance to WWL’s terminal where it was kept in WWL’s storage facility until the time of shipment. 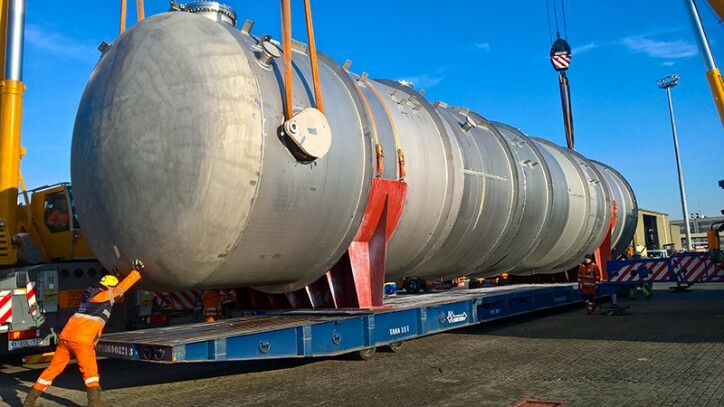 Linford explains that the customer was concerned that the deaerator needed to be kept in under-cover storage for the days between its arrival in Zeebrugge and shipment. “Central Freight didn’t want the cargo left out on the quay so we made sure the unit, which measured a considerable 19 x 5 x 5 metres, was safely tucked up, sheltered and covered in our storage facility for the duration of the downtime,” he says. The vessel selected for the shipment was the Oberon CC612, sailing out of Zeebrugge. Its schedule matched the customer’s requirements and the ship entrance was large enough to accommodate the deaerator. Shirley Handley, Manager at Central Freight Services Ltd., is in no doubt as to the key success factor when managing a challenging shipment of this kind: “Excellent communication from start to finish”, she says. 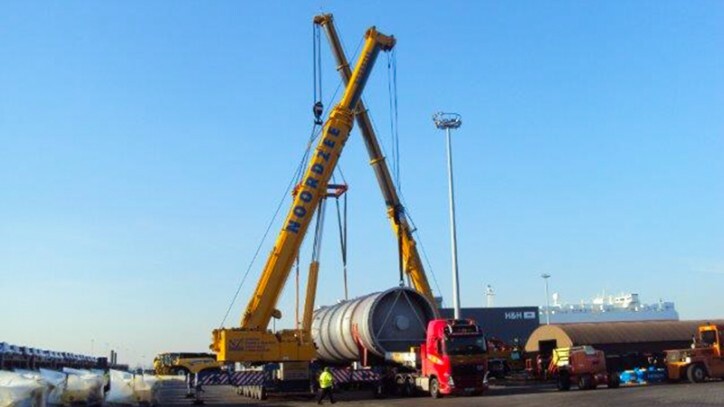 “WWL kept me informed all the way through, from the point of the initial enquiry and pricing, to answering all of the many questions put forward and seeking to find the optimum solution in terms of port of loading, handling solution and vessel types”, continues Handley. Another request put forward by the customer for this shipment was to be permitted to oversee the loading procedure in Zeebrugge. Handley says this experience served to confirm her confidence in WWL’s solution.